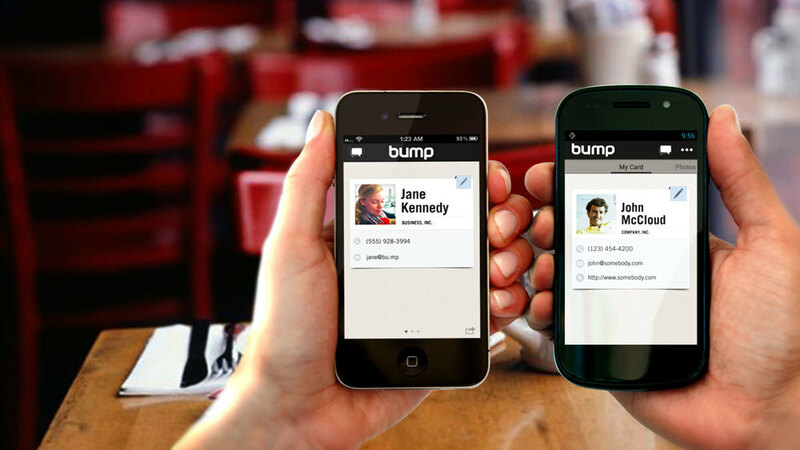 Yesterday, it was reported that Google acquired "Bump" - a social sharing app that allows users to share data by "bumping" phones. So far, there are few details about the acquisition. The company will continue to operate "as normal" for the time being. Read Write speculated the purchase might be in response to Apple's Airdrop sharing technology. Close proximity data sharing has yet to become a mainstream thing, but clearly Apple and Google both feel it has a future. Android should be credited for pioneering NFC, which (like Bump) requires the user to make physical contact with the recipient's phone (usually by touching the back plates). NFC is interesting because it has no active circuitry, and requires physical contact to be activated. Apple has not adopted this technology, and instead uses its own proprietary iBeacon - software which allows developers to easily implement Bluetooth Low Energy to share data wirelessly. iBeacon and NFC are not designed for the same purposes. iBeacon works in conjunction with the iPhone 5s M7 motion co-processor, to deliver information on immediate surroundings. iBeacon will also connect with Bluetooth low energy devices. But sensors that detect surroundings, sharing files wirelessly, and bumping phones are all related insofar that they allow the devices to communicate with each other and connect to wearables and "the internet of things." It's possible that Google is trying to cover all bases by having an iBeacon/Airdrop competitor in addition to NFC. It's also likely that Google will lean towards more open standards (like NFC or open Bluetooth low energy) for its Android platform, while Apple will want to own and control its proprietary technology. This is not unlike the VHS versus Betamax war, except mobile commerce will likely be the deciding factor in the current case. It was long assumed that NFC would take off once Visa, Mastercard, American Express, PayPal and others got on board and started putting NFC payment systems in stores. So far, it's adoption has been slow. However, Apple seems to be taking another road, betting on fingerprint authentication combined with iBeacon instead. There is another way to view this; Apple is looking to wireless standards for communication/commerce while Google's strategy requires physical contact for sharing.